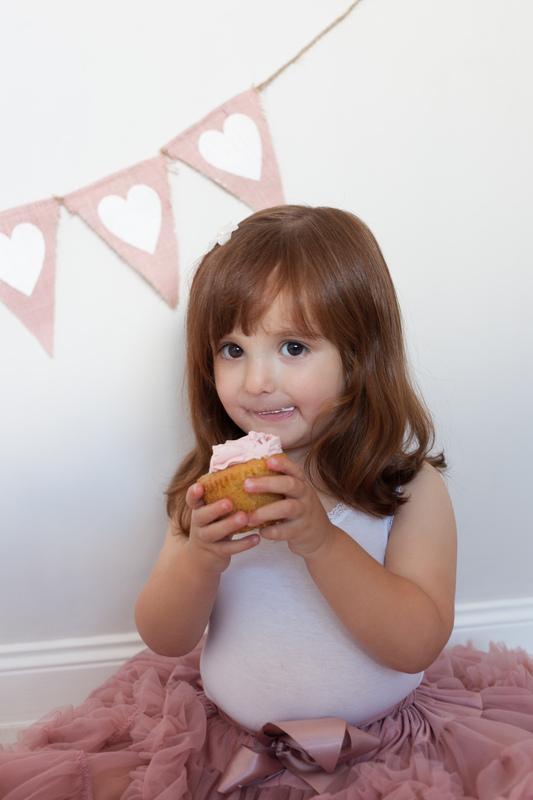 I have had the pleasure of photographing Miss Eliza since she was a baby and only a few days old. 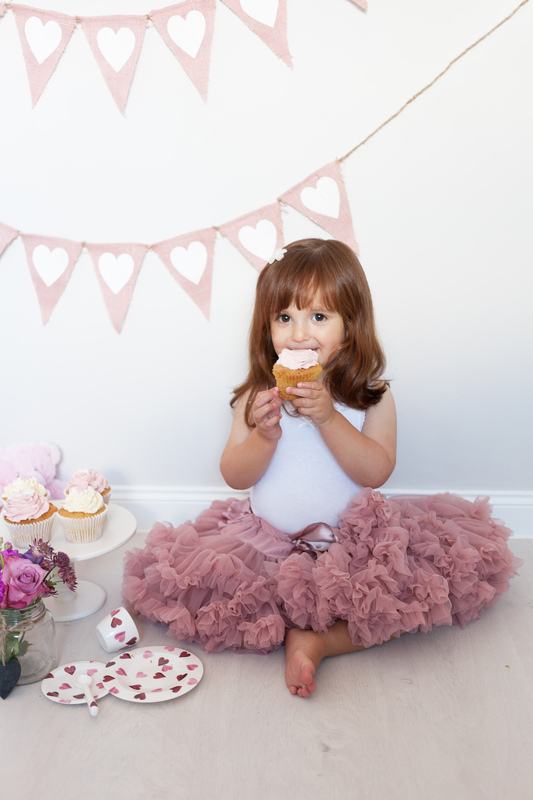 Since her newborn shoot she has visited me for several milestone sessions including her 1st birthday cake smash and a gorgeous outdoor session surrounded by wild flowers! 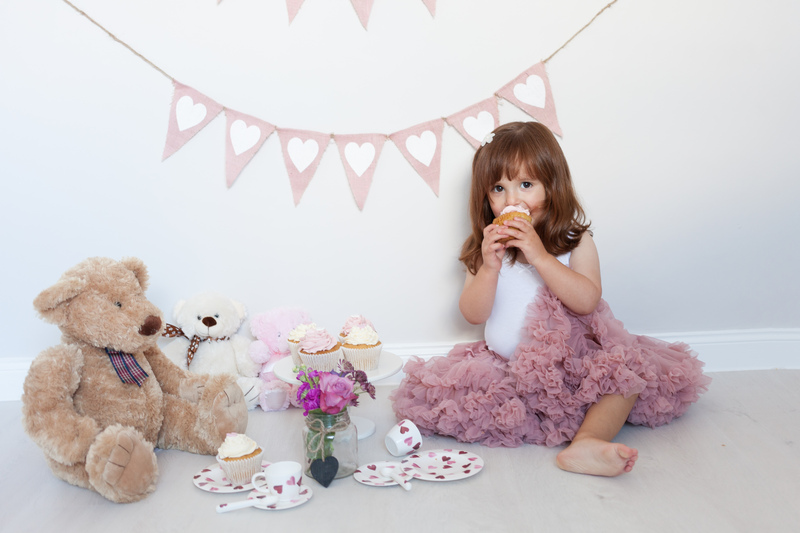 Each photo shoot we have planned carefully with Eliza’s mummy Emma and worked together on clothes styling, locations and timings to make sure that each session was fun and gorgeous just like her little girl! 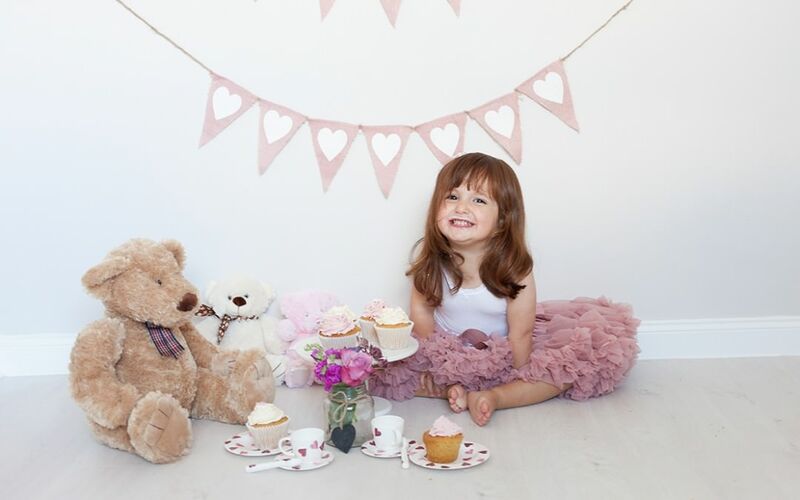 As we had already done a cake smash for Eliza’s 1st Birthday Emma was unsure of what we should do to celebrate her little girl turning two so I suggested a tea party! 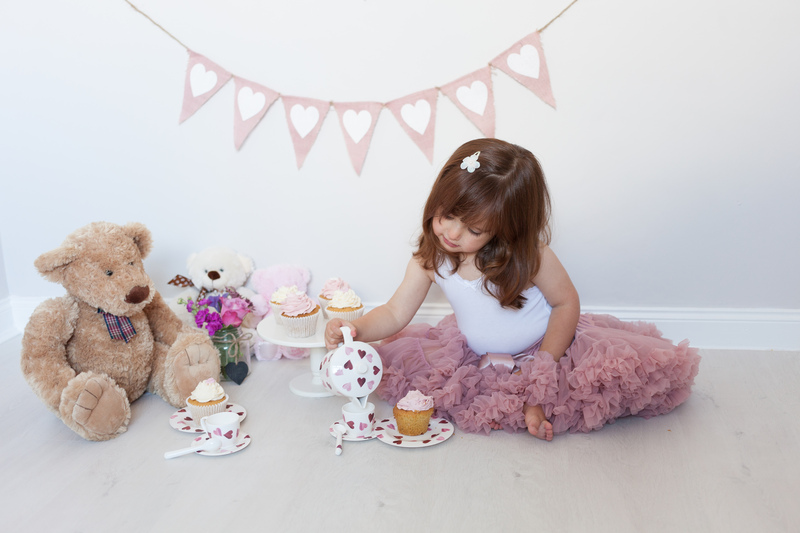 Eliza brought along her beautiful tea set, favourite doll and cuddly friends , a selection of rather wonderful outfits including a gorgeous Bob and Blossom tutu from Treehouse Childrenswear in Stockbridge and of course her smile! Mummy also brought along some beautiful flowers and I had cupcakes made to order to suit our chosen colour scheme which was soft with a vintage touch. After some tea and cake and having spotted (and coveted!) Eliza’s awesome new Doc Marten boots I suggested a walk round the corner to shoot some “urban sass” style portraits of Eliza which are new favourites of mine! 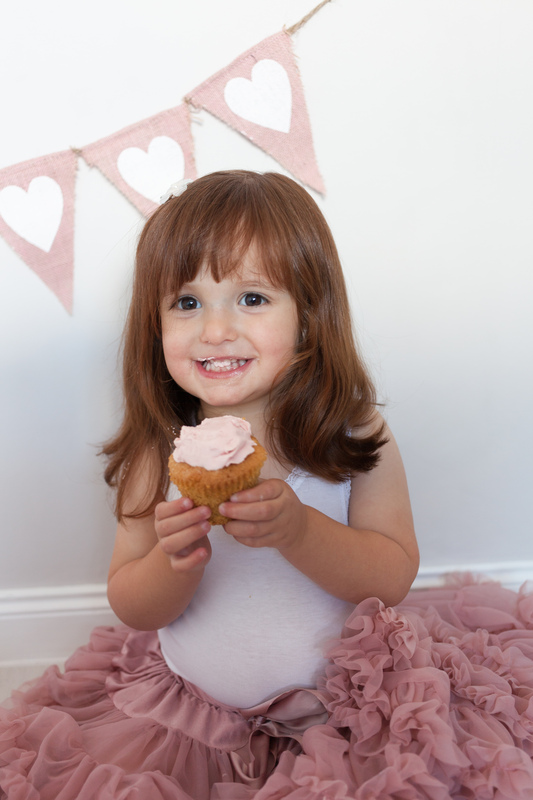 It can be tricky for some parents to think about what they want from a photo shoot of their toddler and I always prefer to allow little ones the chance to move if they can so they don’t get frustrated so cake and a trip to the park tends to be a winning combination! 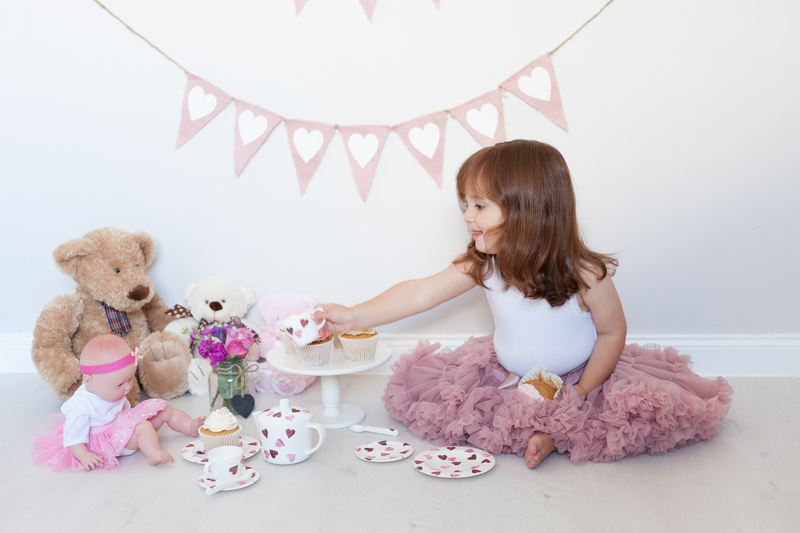 You can find out more about our Tea party photo shoot package including pricing here. Our first photo shoot with Rachael was when Eliza was 10 days old. We were really impressed when we got the photos back from her, and went back for photo shoots when Eliza was 4 months, 8 months and a year for her babies first year package. As a busy mum I often forget to take photos, and even when I do I tend to take them on the camera on my phone, so they are not great quality. I loved doing regular shoots with Rachael, because babies change so quickly, and it was great to have a reminder of each stage. 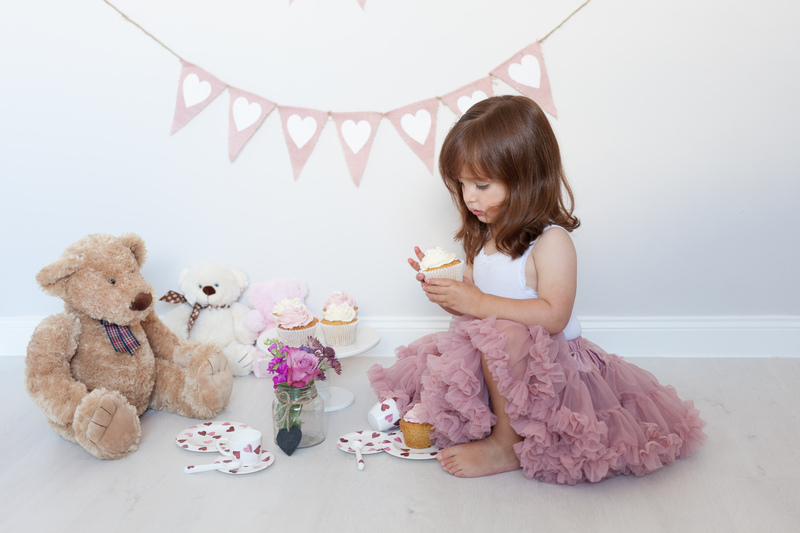 It was brilliant to have such beautiful photos of our little girl, capturing each stage of her development. As such after the first year package was finished we decided that we would still like to continue to visit Rachael regularly to continue to have a beautiful record of our little girl growing up. 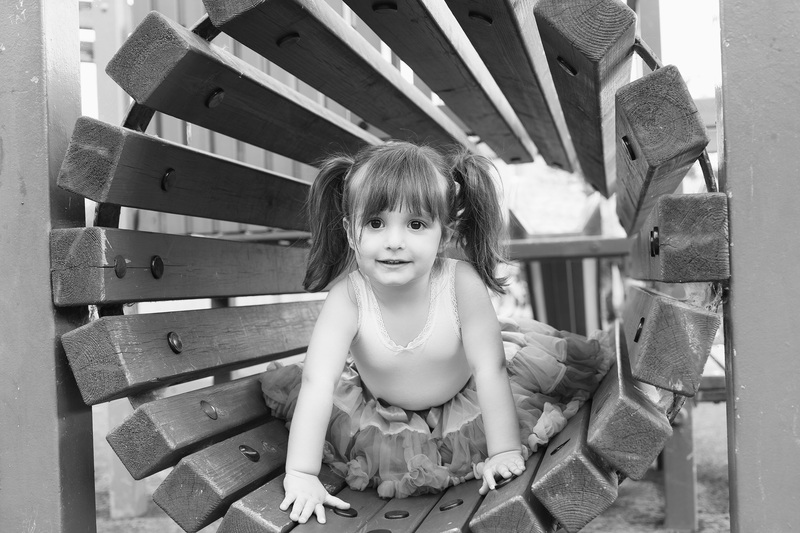 When Eliza was around 20 months, we decided that we would like to try an outdoor shoot. We contacted Rachael to ask if this would be possible and she was extremely enthusiastic about it. The spring flowers were emerging, and so we decided to have it in the woods next to the bluebells. After some discussion with Rachel about styling we decided that Eliza should just wear a simple white dress which worked beautifully. Rachael is very good at identifying what will work in a shoot. The outdoor shoot was great. Despite being pregnant Rachael traipsed about the woods with us, getting the best positions and locations. She really does take such care to make sure she gets the perfect shot. For Eliza’s 2nd birthday Rachael suggested doing a birthday tea party theme. Again myself and Rachael discussed the styling at length, and I had great fun sourcing the ‘props’ for the party! Rachael organised some lovely cupcakes to match the colours I had chosen, and it all worked very well. 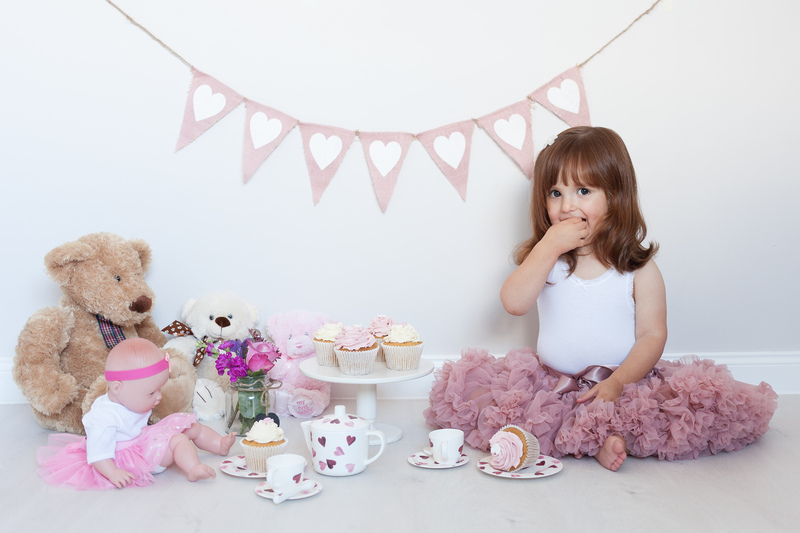 I think Eliza really enjoyed the tea party shoot. 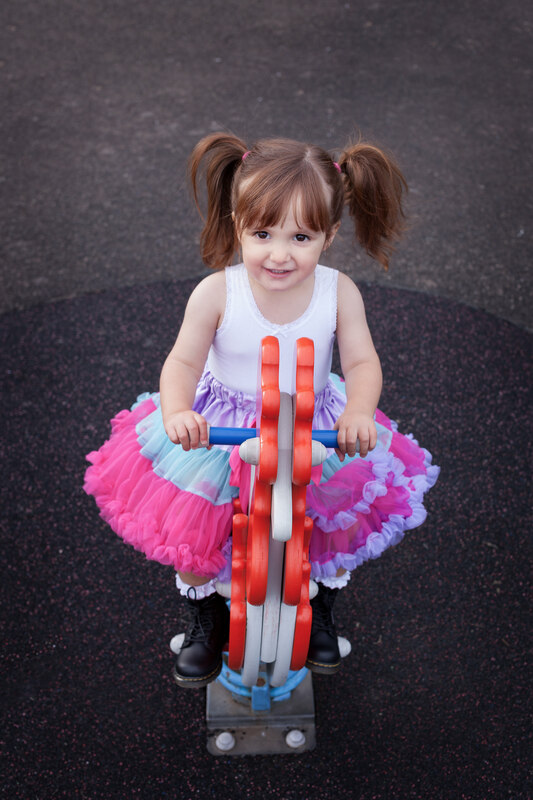 I had also brought a second tutu and Eliza’s Dr Martins boots to the shoot, and Rachael didn’t miss the opportunity to spontaneously suggest that we should get some shots of Eliza wearing them during a little walk around the local area. She managed to get some beautiful urban shots of Eliza standing next to a garage, and playing in a local park. Eliza and Rachael have a great relationship, and Rachael is really talented at getting the best out of Eliza and capturing her personality beautifully. Eliza always has great fun with Rachael, and this is reflected in the pictures that Rachael takes of her. The photos are fantastic. There is a wonderful contrast between the soft vintage photos of the tea party, and the sassy vibrant photos from our walk about. Yet again Rachel has made our little girl look so beautiful! We love watching Eliza grow every day, and we are looking forward to our next session with Rachael (after her well deserved maternity leave with her own beautiful bairn) to capture the next stage of that. Hi, I want a photo shot for my 2years old boy can I get your price range and appointment available.